Got the plate frame and decal today. Thanks again @ST2Focus ! I modded the frame for the rear of my ST by removing the bottom mounting holes with my Dremel and after feeling how soft the plastic is I'm going to go ahead and sand/prime/paint it before I install it so it will last longer than a season or two. My front plate frame has seen better days so I was thinking about putting a coat of truck bed liner on it just to try something different. 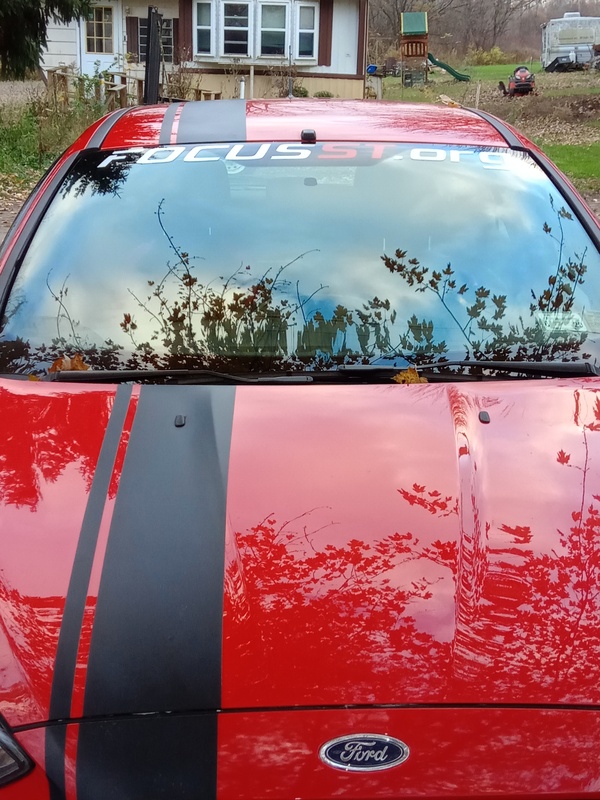 If it ends up looking cool I'll tape off the forum logo and hit my FocusST.org frame as well! I'm glad to see that everyone so far hasn't had any issues with their requested items. Waiting to hear from @DigitalBaka @DeadMilitia that they received their plate frames. @mmst3 @CKREUZER12 you both should receive your items tomorrow. 2013 #2008,#349 of 2286 in PB ST2, Mountune CBE, CAI, DP, Strut Tower Brace, FRPP shifter, K&N filter, Steeda rear sway/strut tower bars, 3M clear bra, WeatherTechs w/ST badges, Zunsport grill kit, Tail of the Dragon decals, Hoonigan crash bar! 2016 Steath Grey RS2 delivered 31AUG2016! Yep, got mine on yesterday! Thanks again! Great, now just need to hear from @DigitalBaka . Great, now just need to hear from @DigitalBaka. Received on Saturday and immediately placed on the car. Thanks much! I spend too much of my life on FST! Sorry if this is wrong but I couldn't figure out how to start a new thread.The guy at work has a printing business on the side. He's going to make me a Focus ST. Org windshield Banner. I should get it this Friday think I'll post pics when I get it on. If anyone's interested he said they would probably be about 30 bucks shift in the continental US. He also does t-shirts coffee mugs keychains if anyone's interested. Just throwing it out there. Unless this is frowned upon for copyright reasons or what not. DigitalBaka and gemery like this. 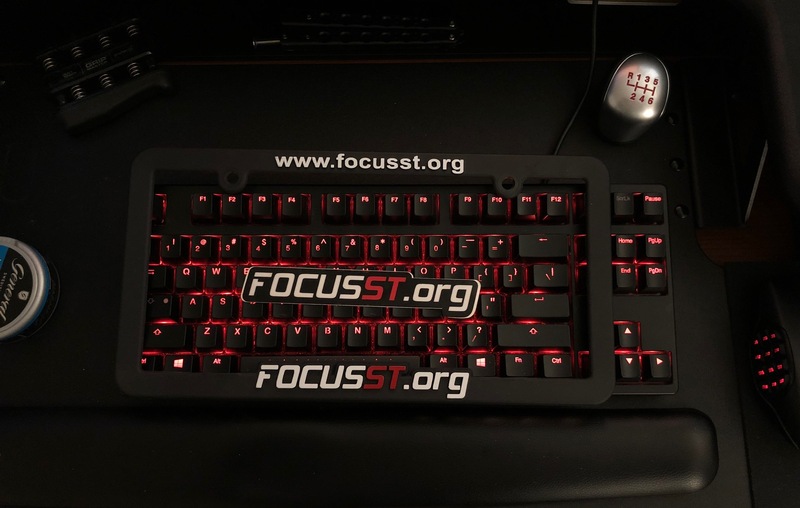 FocusST.org License Plate Frames / Get Yours Now Before They Are Gone!